Hi Forklift Fans! 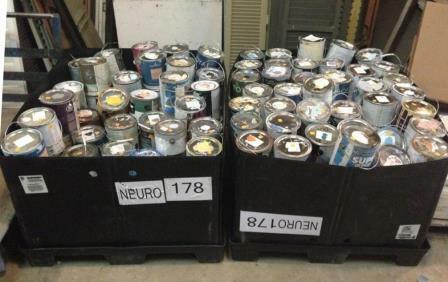 Just processed and ready for sale: a couple hundred cans of paint (mostly interior latex), with an assortment of colors. Most of these were “oops!” paint from a hardware store, when someone made a mistake while mixing a color or a customer changed their mind. Then, our hardworking volunteers opened up all the cans to make sure that the paint is still good. 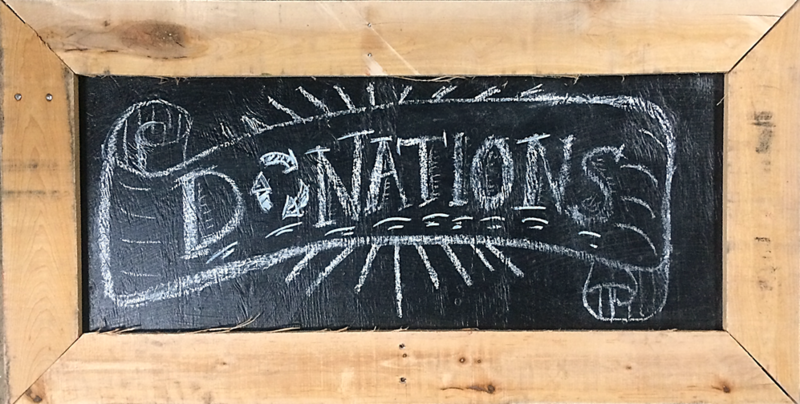 We’ve got lots of gallon cans for $5, and some $2 quarts and $1 pints (great for little craft projects). 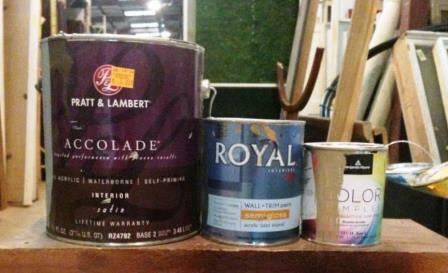 Paint usually goes very quickly – so you can call us, but our Reuse Associates probably won’t know what we have left in stock (it’s kind of like calling Goodwill during a half-price sale to ask how many shirts they have!). So you should visit soon for the best selection. We’re open Saturdays and Sundays 9-6 (On weekdays, we’re open 10-6. We’re now open a little later on Wednesdays too – till 7pm! ).